You’ve been eyeing that condo in the CBD with a fantastic view of the city skyline and the rent is even within your salary! Sounds like the perfect deal, but before you jump into signing the contract, study the factors first. 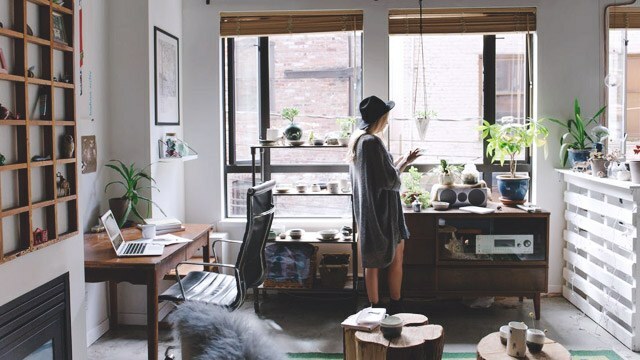 If your salary is your only source of income, here are tips that can help you decide if that apartment is the right one for you. As a rule of thumb, rent should be about 30% to 40% of your gross monthly income. The rest goes to taxes, utilities, daily expenses, and savings. You’d want to live comfortably and worry-free than scrimping monthly just to meet your payments. But there are exceptions to the percentage rule. Plot down all your expenses in a month and see if renting that coveted condo unit will help you save in some areas, making the rent reasonable. Are certain utilities inclusive of the rent? Is the location near your workplace, helping you save in gas or commute? Do you have a friend willing to be your roomie? Weigh these factors before making a final decision. Make use of your Pag-Ibig contributions and get a Multi-Purpose Loan. You only need 24 months worth of contributions in order to qualify. Typically, you can loan 60% of your total contributions. The percentage increases depending on the number of months you’ve been actively contributing. Accomplish the requirements such as the Multi-Purpose Loan Application Form, valid ID copies, and proof of income. The loan with an interest rate of 10.75% per annum should be repaid in 24 months. If your goal is to purchase a condo unit, then getting a bank loan is a great option. A bank will look into your history before they’ll hand out a loan, so up your chances of having your loan approved.According to Hoppler, you improve your chances if you’ve been steadily employed for at least two years, have savings, do business with the same bank, have a guarantor (hi, mom and dad! ), and pay your debts. Make sure you have good credit standing. Bankrate advises that you eliminate your credit card balances, pay bills on time, and don’t show any kind of money risk like using your card to pay a pawnshop or an annulment lawyer. Remember this: the more money you have in the bank, the less it earns in potential investments. Financial advisers always point to the smart move of investing a portion of your savings and making your money work for you. It doesn’t necessarily have to go to a business. There are tons to choose from that won’t require your active participation. Look into insurances and stocks. COL Financial’s Easy Investment Program let’s you initially start with only P5,000, which will go into buying stocks that you can keep acquiring for a length of time. The peso-cost averaging methodology will eventually give you a reasonable return of investment in the long run. What should you cut back on to meet the budget? Go for the obvious, like drinking the free coffee at work than buying your daily cup of joe, car pooling to save on gas, holding back on shopping sprees, cooking your food and baon than eating out, cutting back on smoking and drinking, and lessening the out-of-town trips. There’s more you can hold back on that won’t make you feel deprived. See where your money goes and decide from there.Ready to call that condo your new home-sweet-home? Just follow these tips and you’ll find the perfect match in no time. Published by Empire East Land Holdings, Inc. Owned by multi-billionaire Andrew L. Tan, Empire East Land Holdings Inc. is a premier real estate developer that caters to the middle-income segment of the market, offering homes of expert quality at reasonable prices. With over 200 residential communities in the metro, Empire East is deemed one of the best real estate developers in the country who is credited in focusing on transit oriented developments that takes one's eventful lifestyle a notch closer to the transport systems and vital business, leisure, entertainment and educational zones in the city	View all posts by Empire East Land Holdings, Inc.